Glencoe is perhaps Scotland’s most famous and most scenic glen. Glencoe is also arguably Scotland’s most historic glen, and it was recently voted as Scotland’s most romantic glen. Glencoe is not only a holiday centre for hillwalking and mountaineering, it is also an ideal base from which to explore the Highlands of Scotland. 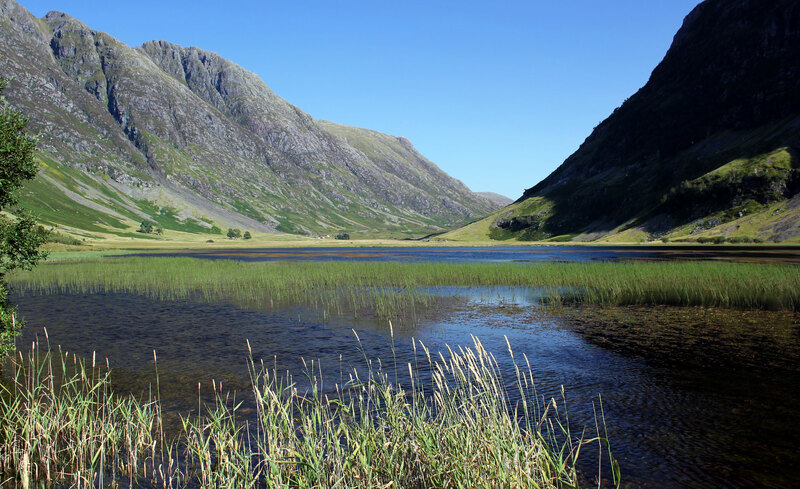 The Clachaig Guide to Glencoe Scotland provides you with information on a range of accommodation available in the area along with some ideas about the things you can see and do during a holiday in Glencoe. Clachaig Inn, Glencoe is situated in the heart of Glencoe, and surrounded by mountains on all sides. The hotel is renowned for its warm hospitality, excellent food and accommodation, and extensive range of high quality cask ales. Open all the year round, it caters equally for walkers, climbers or those who prefer to enjoy a more relaxing holiday traveling around the West Highlands of Scotland. Clachaig Self Catering Holidays, Glencoe offer a choice of accommodation for those seeking the freedom of travel provided by self catering holidays. Clachaig Holidays offer a choice of chalets, lodges and cottages in a variety of locations in the glen, in Glencoe village and in nearby Ballachulish. All of the properties offer a high standard of accommodation and are set amidst the spectacular mountain scenery. Choose from serviced bed and breakfast or self catering chalet or cottage accommodation. Glencoe offers a variety of choices of places to stay. Clachaig Holidays offer a selection of 12 chalets, lodges and cottages in village, glen and secluded Riverbank locations in and around Glencoe. Have you ever dreamed of coming to live and work in the Highlands? Read more about employment opportunities in Glencoe. Filming for the third Harry Potter film, "Harry Potter and the Prisoner of Azkaban", was filmed on location in Glencoe in May and June.